Mark writes on a 12-core Mac Pro computer running Apple Logic Pro 9. Mark has been a Logic user from the very early Emagic days, and for the super old school guys, Mark was a StudioVision user before that. A second computer, an 8-core Mac Pro, sits at his console running Pro Tools 10HD. This computer runs the video that Mark will score to. Mark uses a very, very long list of plugins, and he is always experimenting with new sounds. 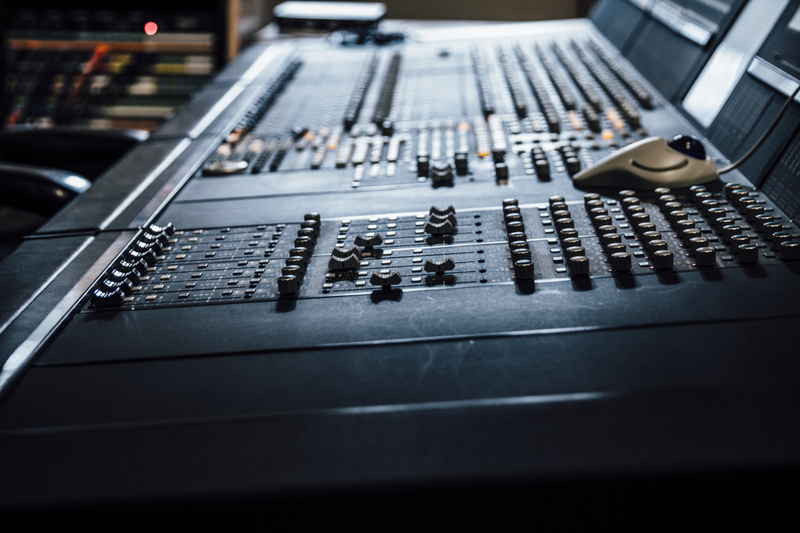 Some of Mark’s favorite plugins come from Universal Audio, Native Instruments, Spectrasonics, East-West, Rob Papen, Waves, Plugin Alliance, DMG Audio, U-He, among many others. 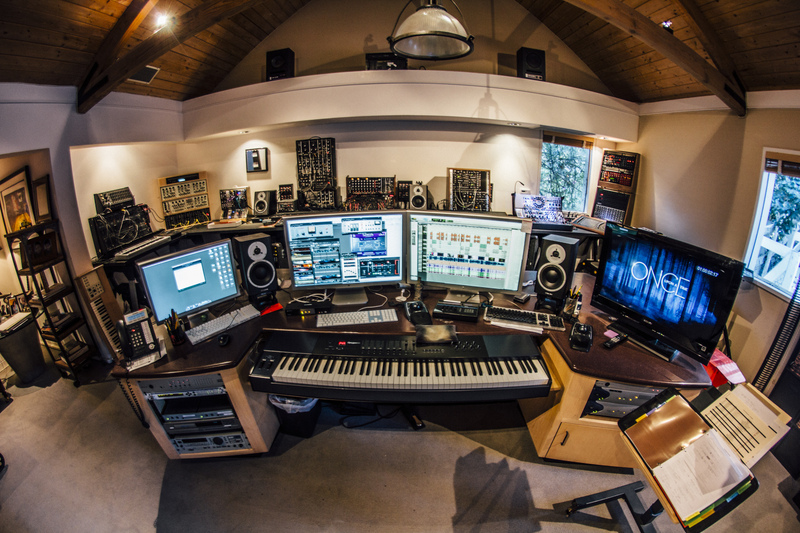 Mark uses an M-Audio keyboard called a Pro-Keys 88, and Dynaudio Speakers. Mark’s writing computer uses an SSL MADI Xtreme card and an SSL Alpha Link MADI AX, and the video computer uses a Digidesign/Avid 96i/o and 192 Digital, along with an SSL Delta Link MADI HD. Connected via ethernet are two Mac Pro’s running Vienna Ensemble Pro 5 software, and the largest sample library known to man (unverified…but we’re pretty sure). 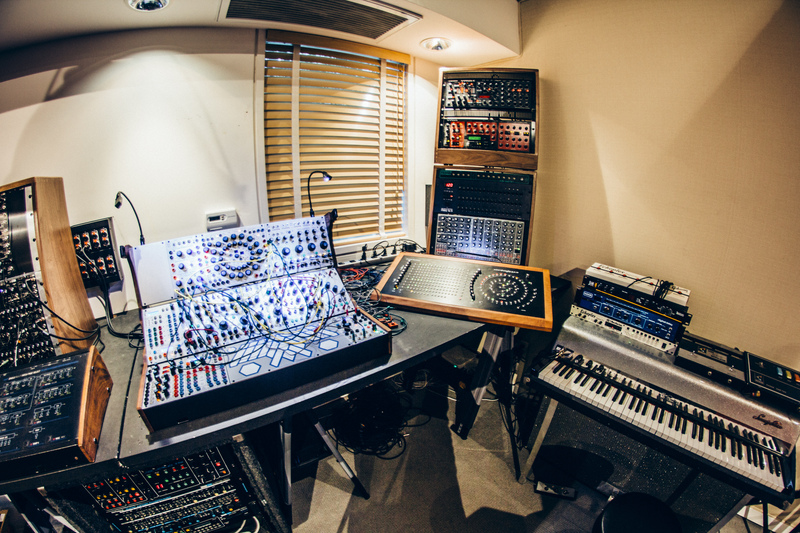 Mark uses a number of outboard effects as well, including a number of classic effects like the Universal Audio LA-2A, 1178, Eventide H3000, Urie Limiters, and Lexicon reverbs. Internally, Mark runs Universal Audio plugins via a UAudio UAD2 Quad card. 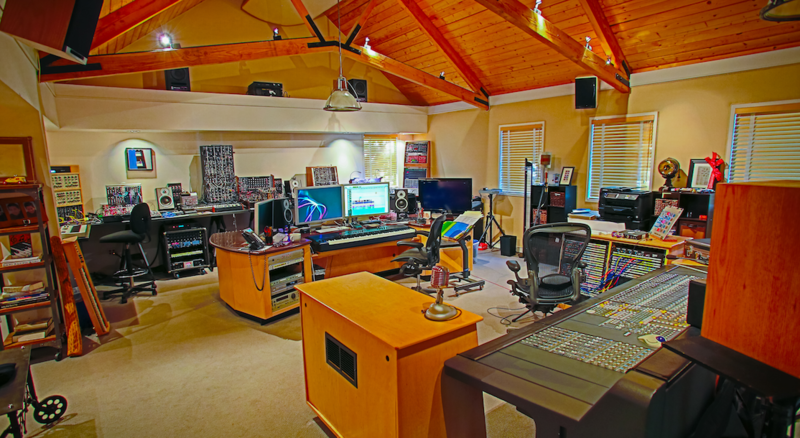 All audio in Mark’s studio is routed through a Euphonix CS3000 console. Standing behind the Euphonix console, Mark watches his newly written film compositions on his Sony flat panel plasma TV. 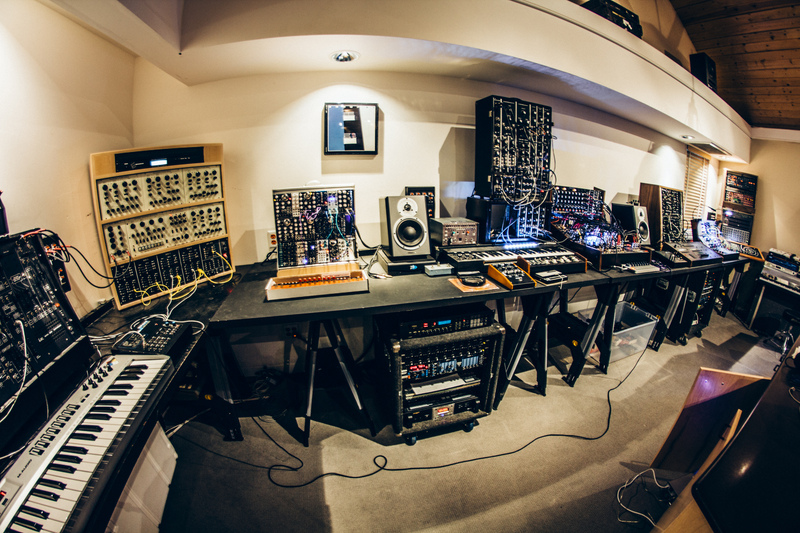 Behind Mark’s writing computer is the infamous Wall of Synths Museum. The wall has undergone a recent transformation, and Mark has jumped oscillator first back into the world of analogue. He just took ownership of a new Buchla, a Verbos, a CMS, a CMS repaired Arp 2600, a Roger Arrick Dot Com system, and a few other modules as well. 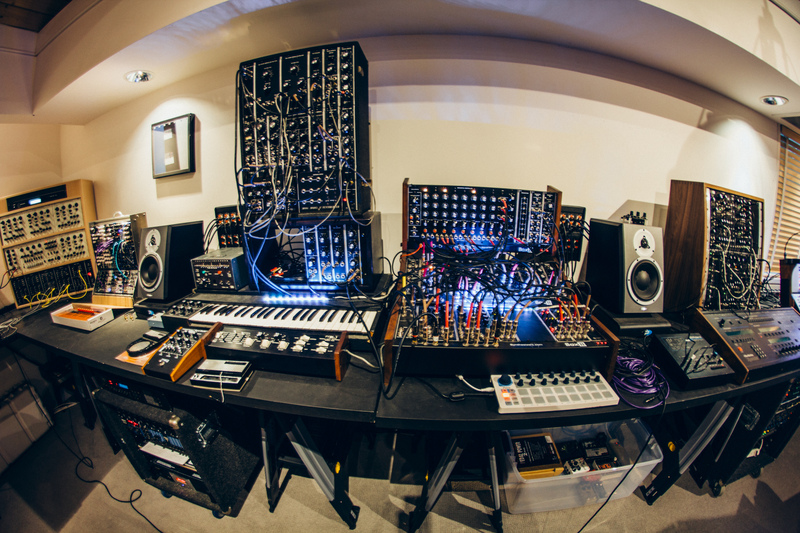 It’s truly a synth geek’s heaven, and growing every week! When recording live players and his own Trumpet performances, Mark likes to use Neumann, Royer, Lewitt, and RCA microphones. 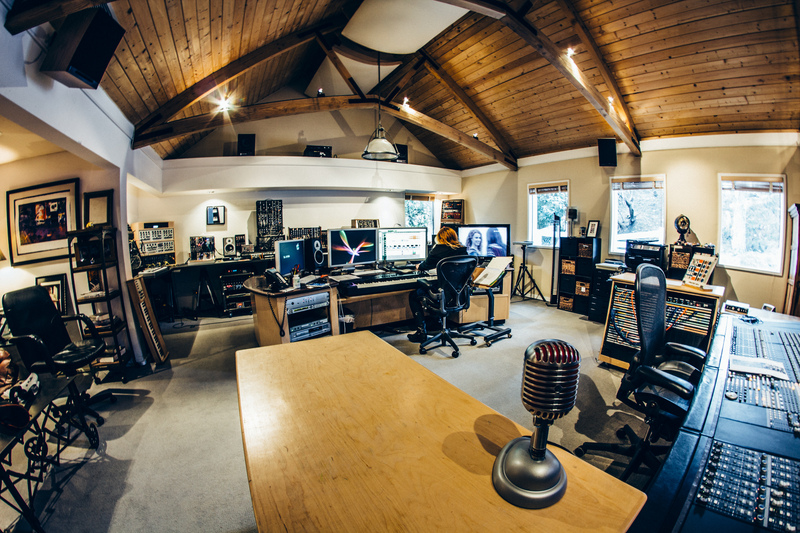 If you have any studio or gear related questions for Mark or his staff, don’t hesitate to write! We’ll try to answer any questions you may have!